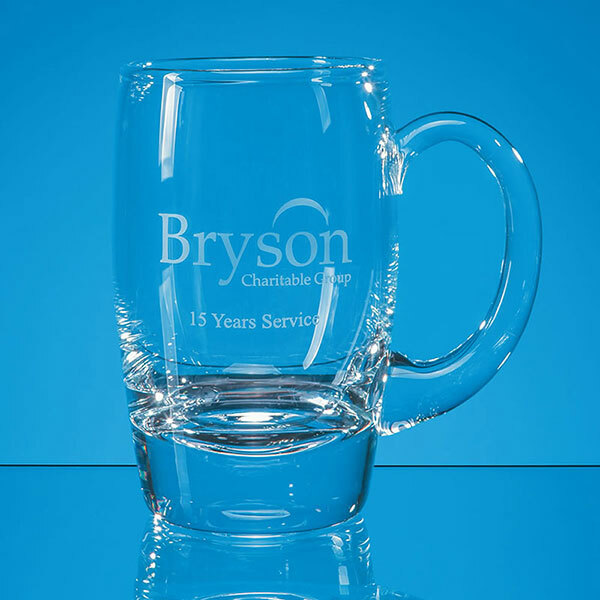 Elegant beer glass with oval shaped body, thick base and large curved handle. 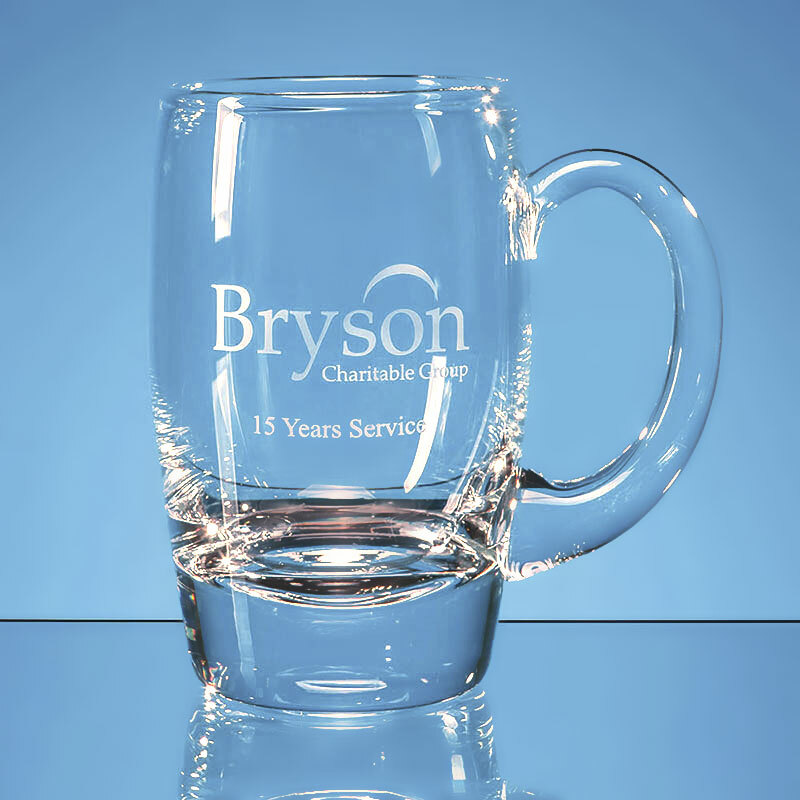 The capacity of these tankards is 0.55ltr, or 0.98 of a pint. 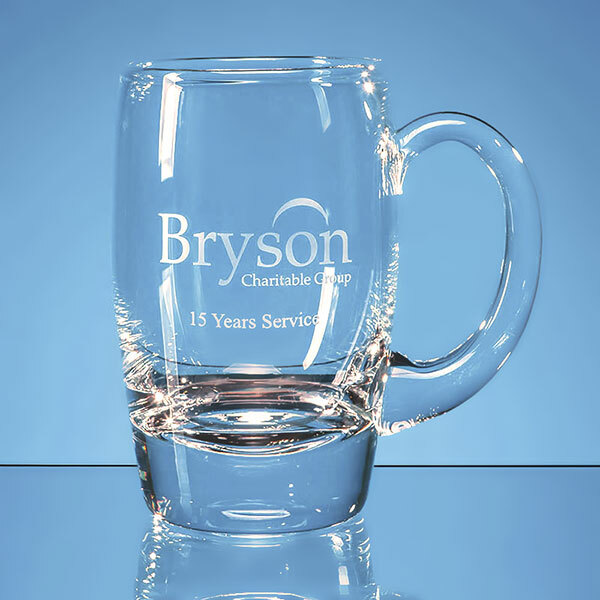 They can be personalised via engraving into the side of the tankard and are offered here with text and/or logo engraving options. 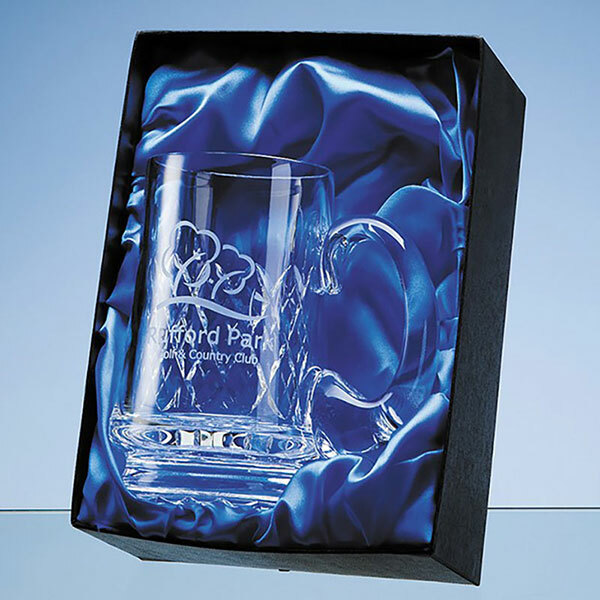 An optional lined presentation case is also available for these oval beer tankards.